March 10, 2016 By Elise 90 Comments This post may contain affiliate links. Please read my disclosure policy for more info. 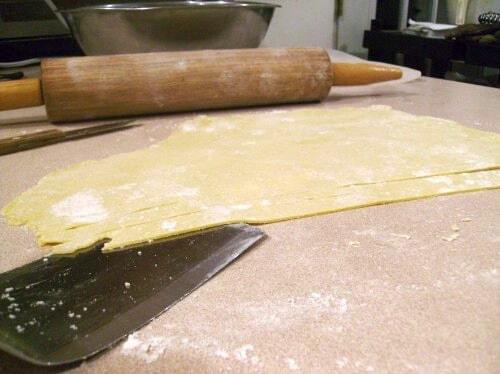 In my family, homemade egg noodles are spelled C-O-M-F-O-R-T F-O-O-D. 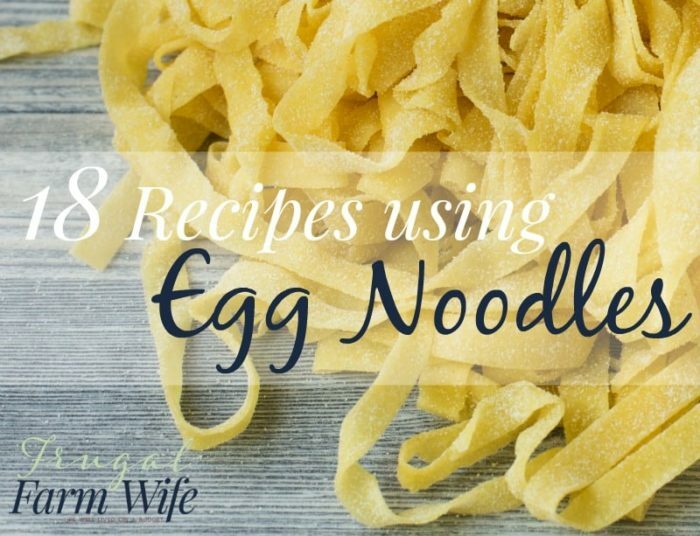 It wasn’t long after Gabriel and I married (and I subsequently began cooking gluten-free) that I realized that life would not be complete until I learned to make gluten-free egg noodles. 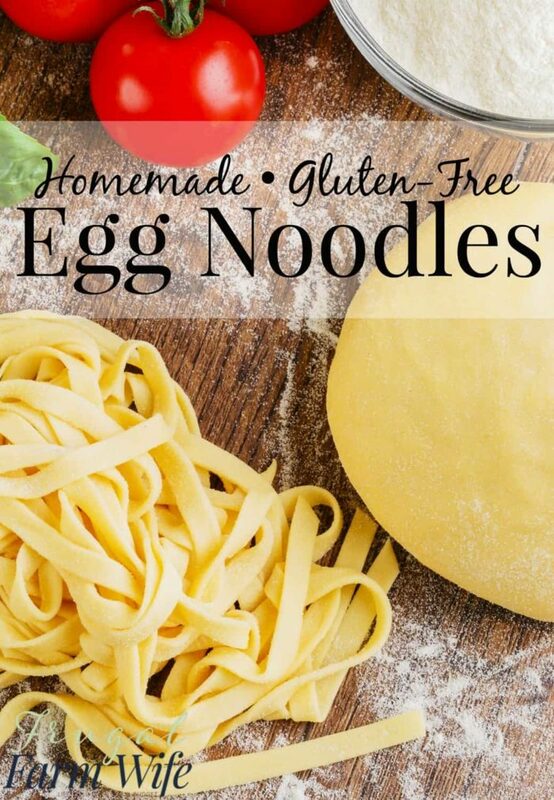 Okay so, perhaps I’m being a little dramatic, but I do love big, wide, egg noodles, and fortunately making them with gluten-free flours really isn’t any different than making them with wheat. They’re one of the few things you can add nearly as much flour to as you want without adverse affects. Isn’t that great? 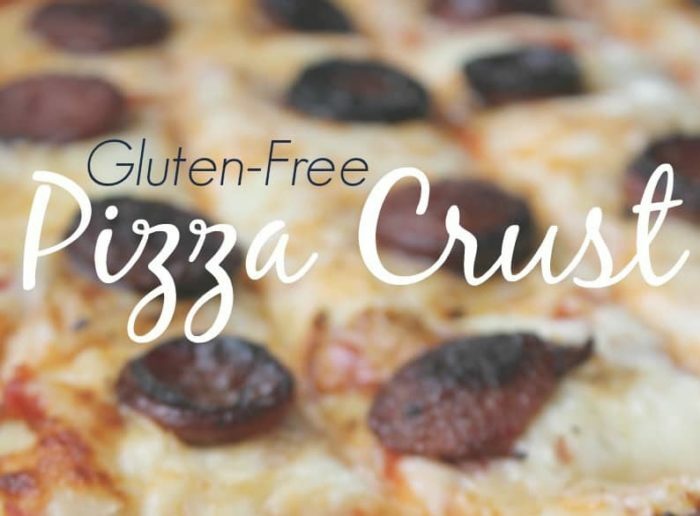 So often with gluten-free recipes, we have to be so careful about adding too much flour, and sometimes that makes recipes hard to handle. Yes, a spatula with thin edges. It’s great! Beat together first four ingredients. Mix in enough flour to form a ball. Sprinkle more flour onto a flat non-stick surface (I just use my counter top) and roll the dough as thin as you can or want it – usually about as thick as a quarter or tortilla (sometimes I leave it rather thick and then cut very thin strips for a change). Use a knife or pizza cutter to cut strips. Drop noodle strips into simmering broth. That’s all there is to it. 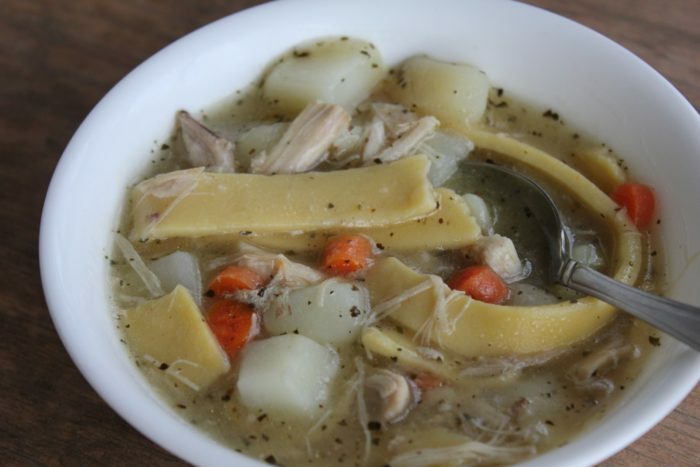 I love to flash freeze theese on cookie sheets and then store them in zip-top bags to have on hand for when one of us get the notion for homemade chicken-noodle soup. How much does this recipe for GF Noodles make? I have been making noodles with various types of machines over the years. However, the easiest method, I’ve found is to roll the dough out to desired thickness, flour it and roll it up in a direction to give you the length you want. Use a sharp knife and cut across the roll. 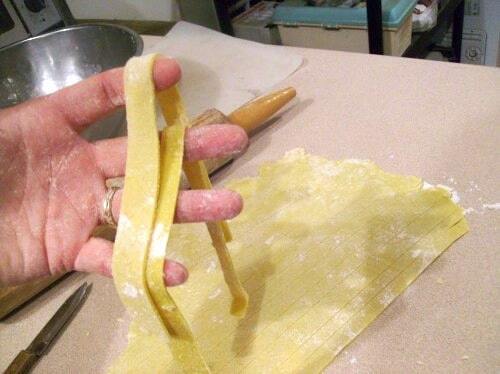 You can cut any width of noodle you want. No expensive, hard to clean, machines required. These were aaaaamazing and SO SIMPLE!! I freeze them before cooking. Hi, can i used noodle maker to cut the dough? I have found gluten-free noodle dough to be very finicky about going through the noodle maker. If it’s either too sticky, or too dry, it will fall apart, but if you can find that perfect middle ground, the noodle maker works like a charm!